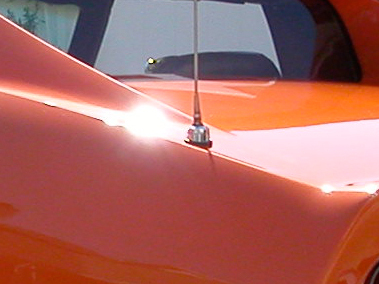 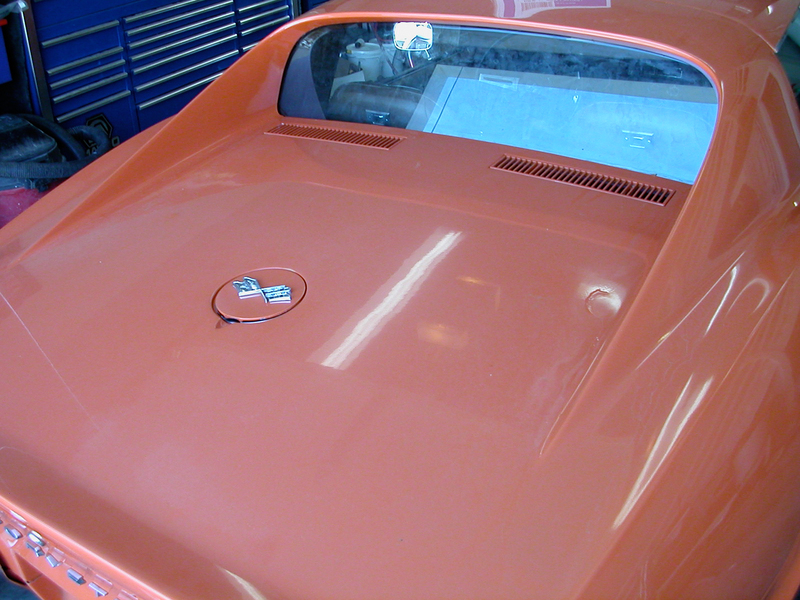 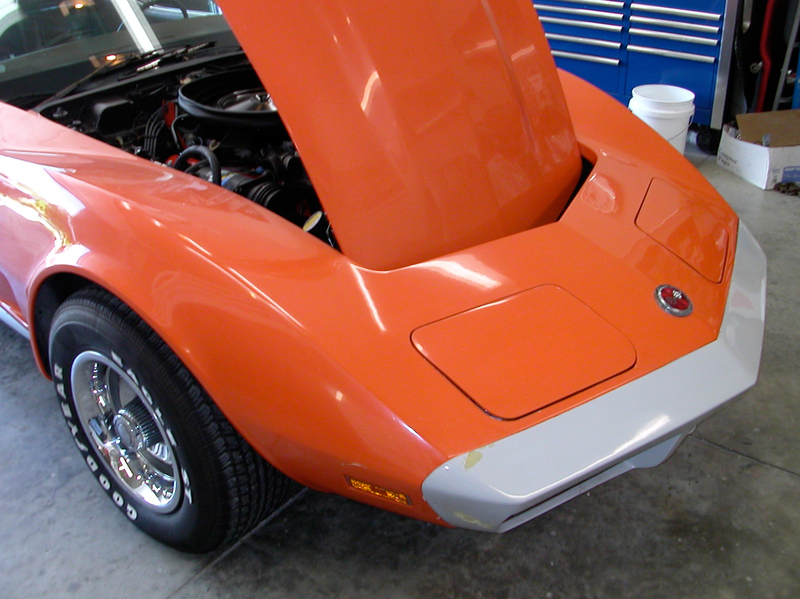 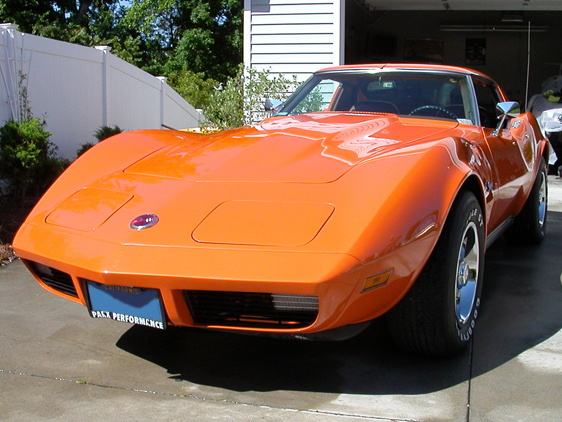 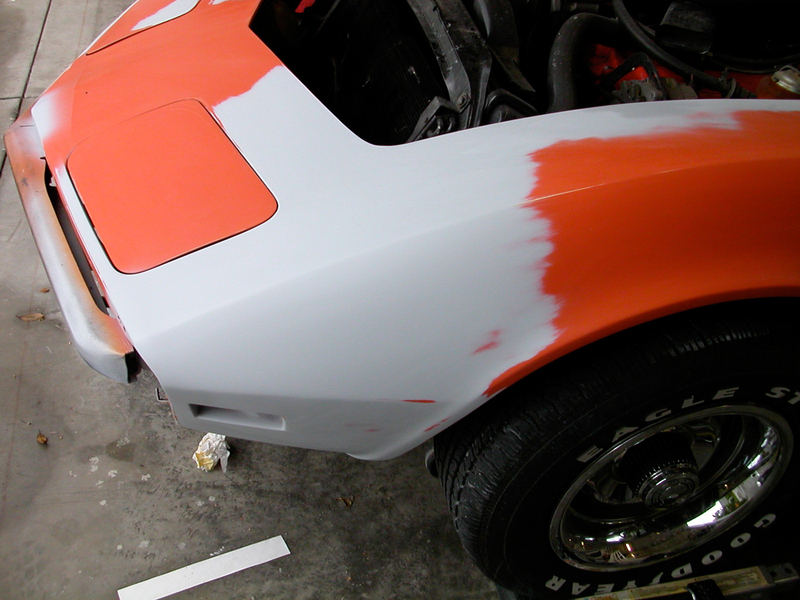 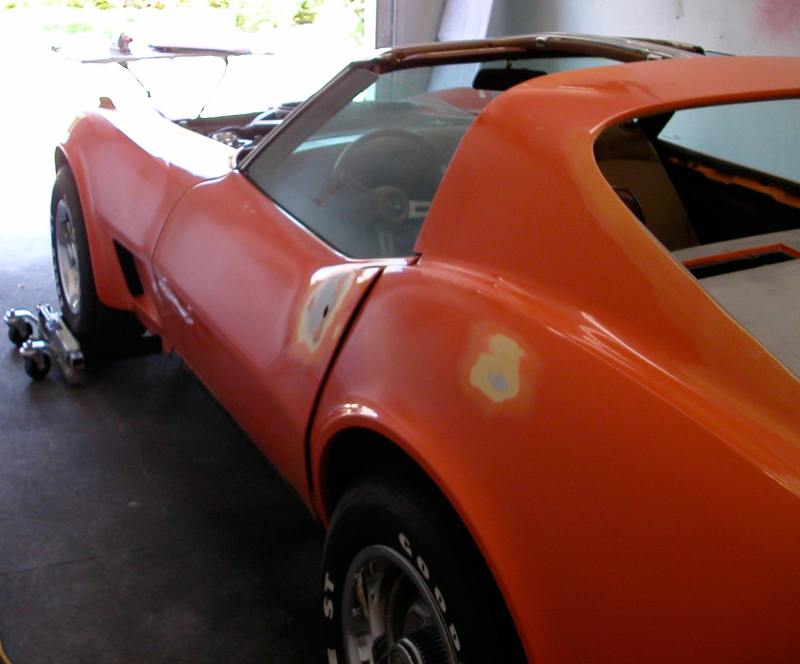 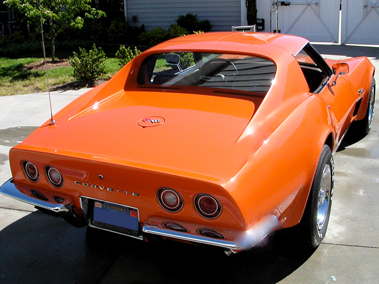 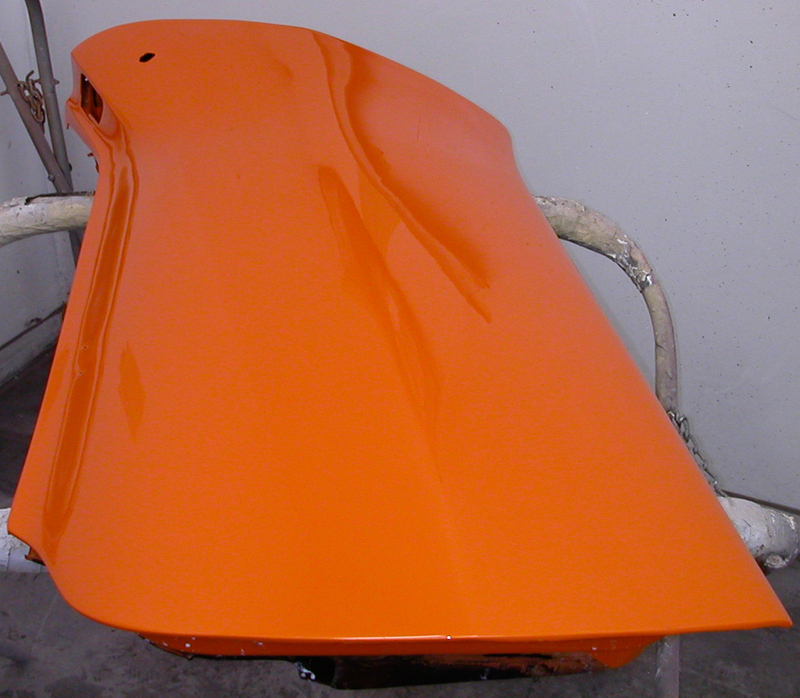 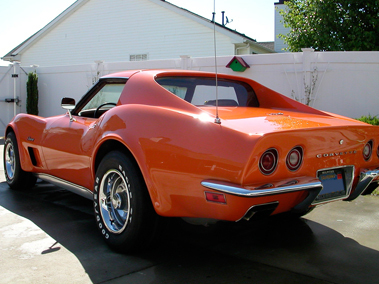 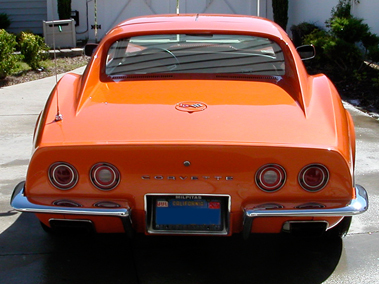 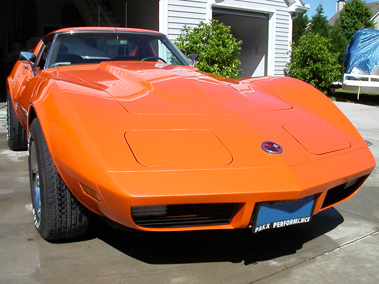 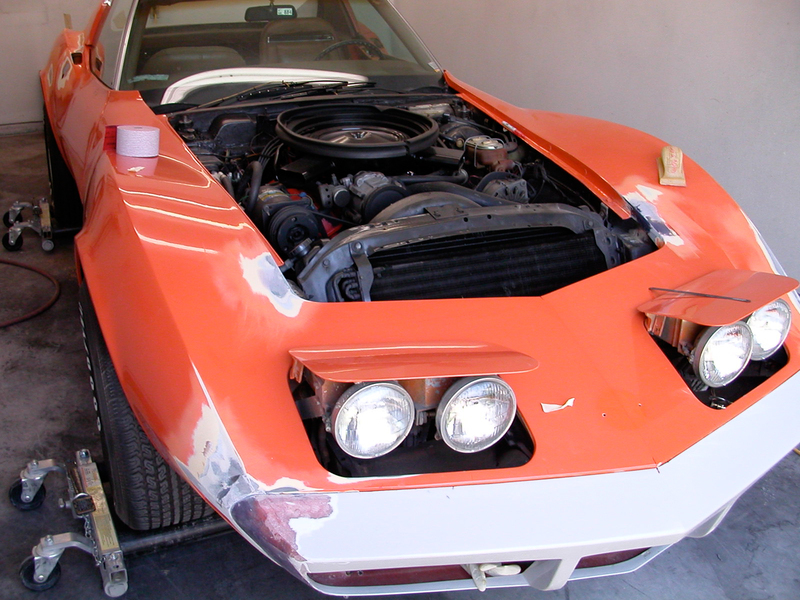 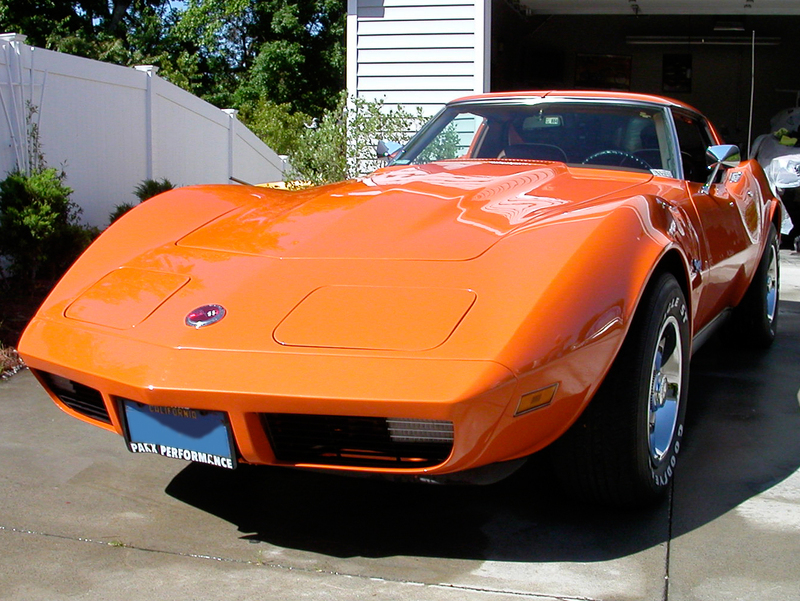 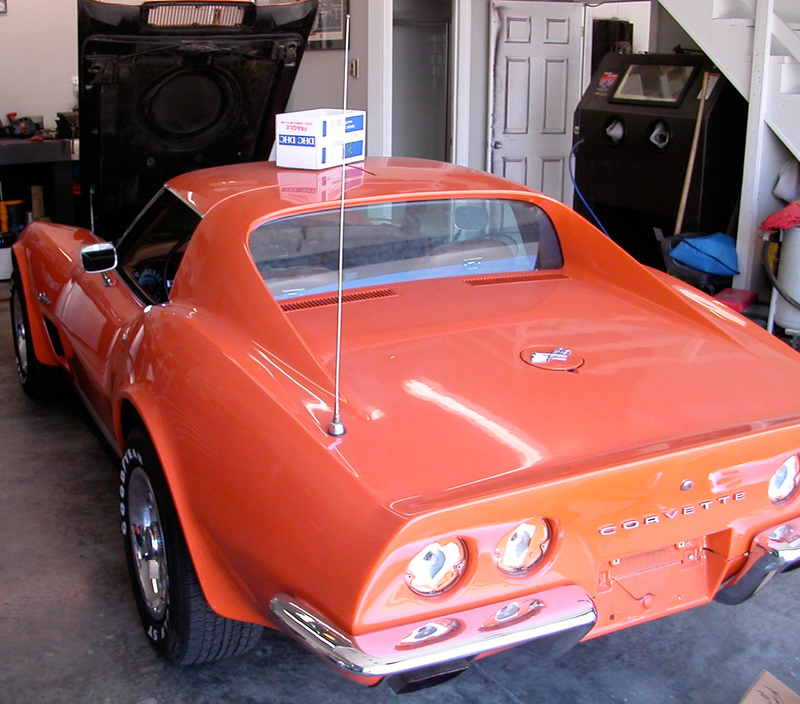 This car is an example of a partial restoration on a small budget. The owner only wanted to replace the front bumper, strip and repaint the deck lid, and touch up general cracks and holes. 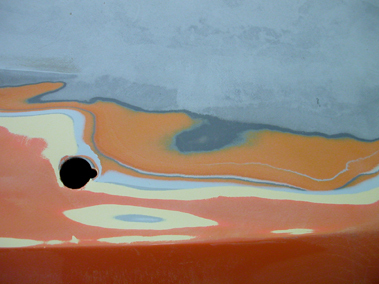 Once the work was started, a number of layers of previous paint were discovered. 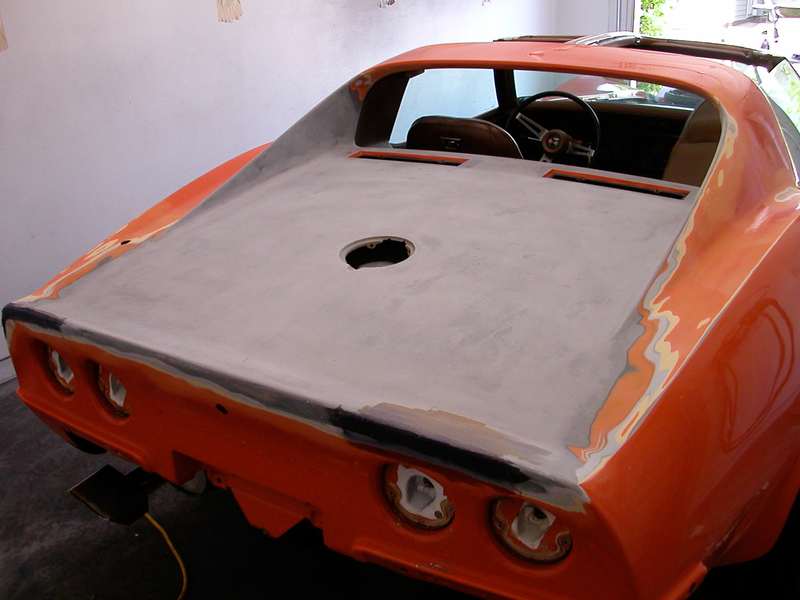 Not knowing the quality and quantity of previous work is always a potential liability for the current work. 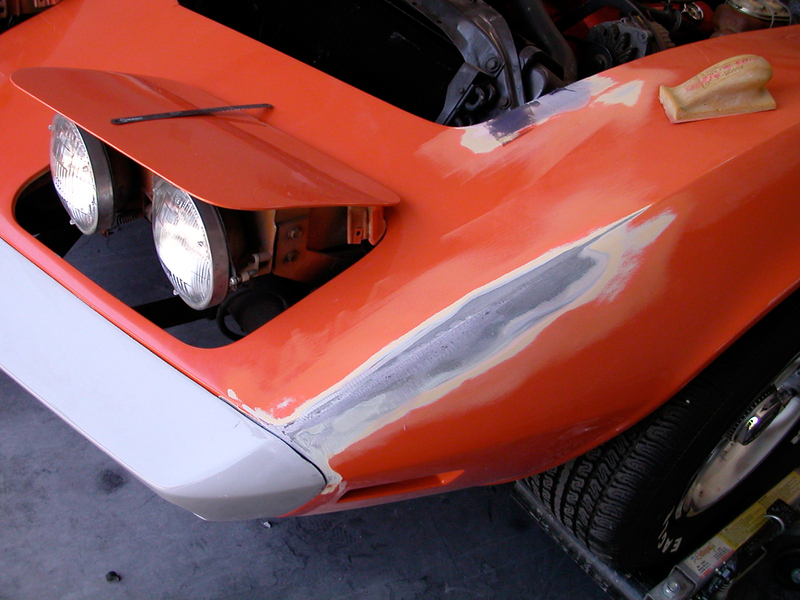 Although this car should have been stripped for a proper restoration, the owner was happy to drive away with a crisp, smooth, respectable finish. 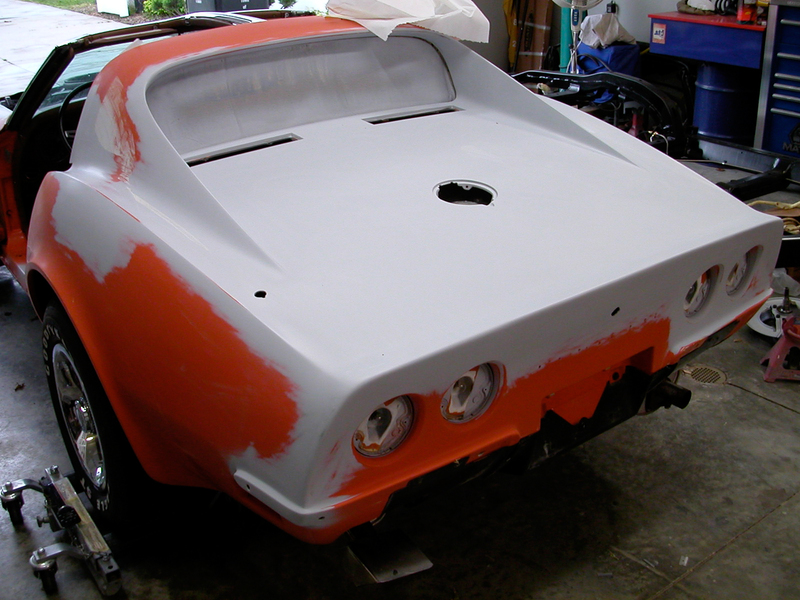 The images below highlight the work required to perfectly wed the new front end to the rest of the body. 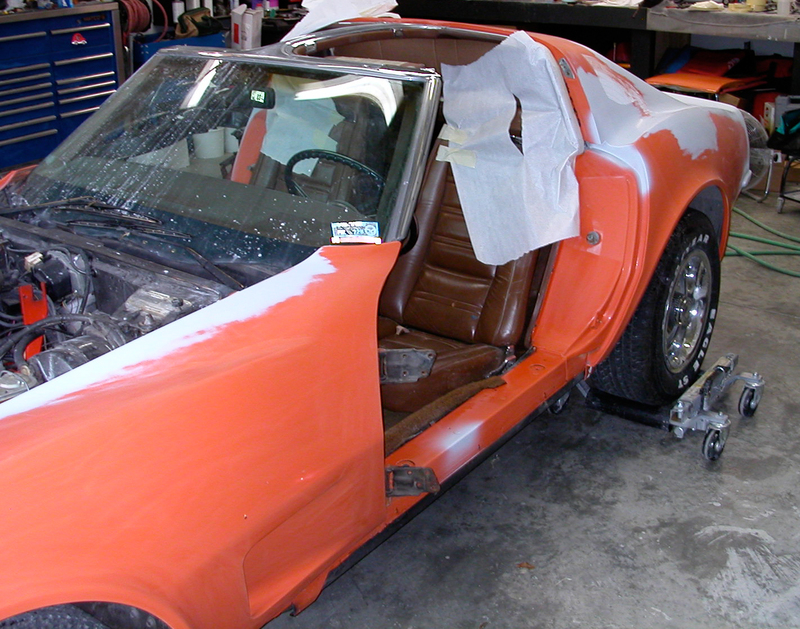 Clients are always surprised by the amount of work and artistry required to create a beautiful fit. 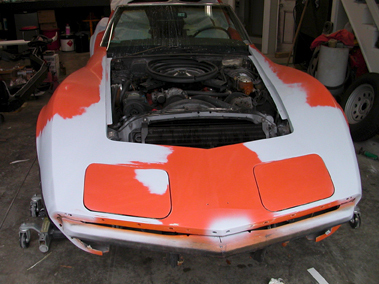 One photo below specifically shows the layers of previous paint that were uncovered when stripping the deck lid. In the end all previous sins were washed away, and the owner was tickled with her spiffed up driver.